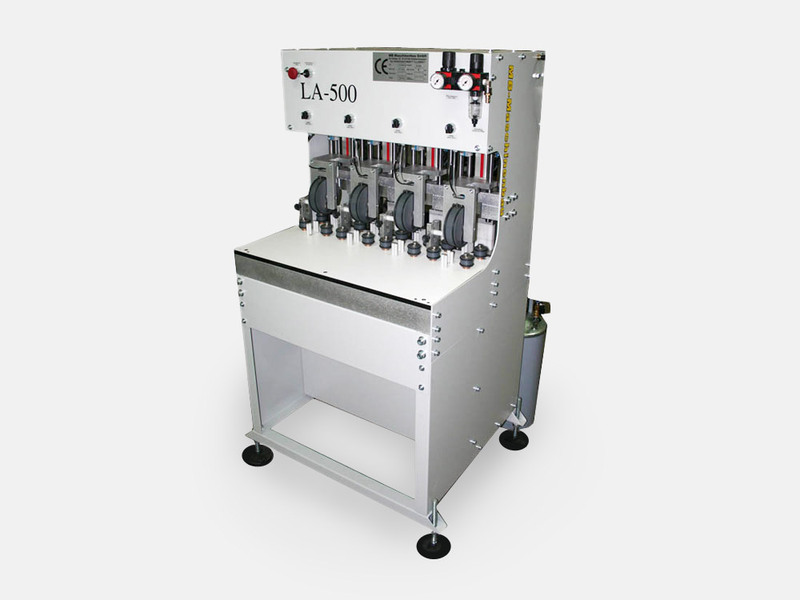 Glue application system LA500 was originally developed for wood window producers as a solution for automatic glue application of mortise and tenon connections. It guarantees absolutely perfectly glued connection of parts, is easy to operate, with low maintenance. Meanwhile, the range has been extended by a variant for gluing furniture frame doors with mortise and tenon joints, as they are widely used in North America. The two part gluing tool has up to three main channels connected with a valve block. In this way every channel can be separately provided with the appropriate glue quantities. Due to this every kind of glue application can be set-up specifically and independently. In the five piece door production of the furniture industry the operator has the possibility to define exactly where he wants glue to be squeezed out and where to avoid it. This helps to reduce cleaning time on the doors.